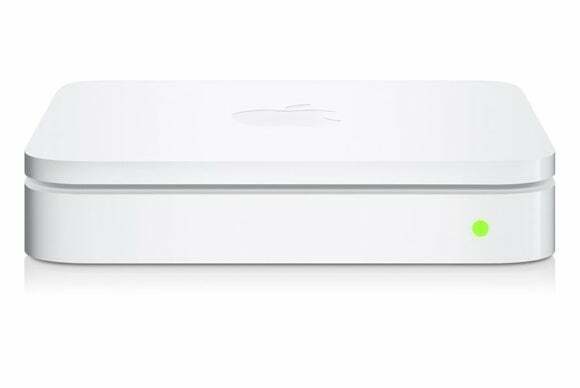 Does your AirPort Extreme Base Station work but is unreachable via AirPort Utility? We're tracking a problem and would love to hear your experience. The other day, my wife texts me (from upstairs; I work in a home office in the basement): the printer had stopped working, and could I take a look? Our printer is connected via USB to an Apple AirPort Extreme Base Station (5th generation), which shares it over the network. The base station is an extension of a network, so it’s in bridging mode. Power cycling didn’t help me out, though several colleagues who had the same problem when I polled on Twitter said a power cycle would fix this issue for a while, as long as several months. The factory reset put the base station back in business for about 20 to 30 minutes, during which time the printer re-appeared and I was able to print. But then it reverted to its previous “Device Not Found” status. A couple days after I witnessed this, a reader wrote in with a nearly identical experience. Querying on Twitter, half a dozen people said they’d had the same thing, but a power cycle or form of reset helped. One colleague on Twitter suggested that removing all Apple IDs from the Back to My Mac configuration section would fix the problem. 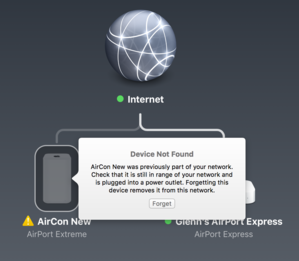 (Click a base station in AirPort Utility, click Edit, and then make changes in the Base Station tab. Click Update to apply changes.) I did another factory reset, removed the Apple ID, and the base station (and its printer) have remained working for a few days so far. This does prevent remote access to attached drives and Time Capsule volumes as well as remote configuration. I’ve reached out to Apple for any insight they may have about other fixes. It may need to be replaced due to hardware failure—but it’s fascinating to me that the networking part can work independently of the other subsystems. I purchased my base station in June 2013, and bought a new USB-C MacBook in April 2015 along with AppleCare. That makes that base station eligible for service. If my fix doesn’t stick, my next plan is to navigate the repair and replacement process.